Griesing Law opened their doors in 2010 and has partnered with Power Design from day one. In such a highly competitive market, Griesing Law has been able to differentiate themselves by offering their clients personalized service and attention coupled with proven results. Power Design created their logo mark and brand guidelines to reflect the professionalism and individualism of the firm. 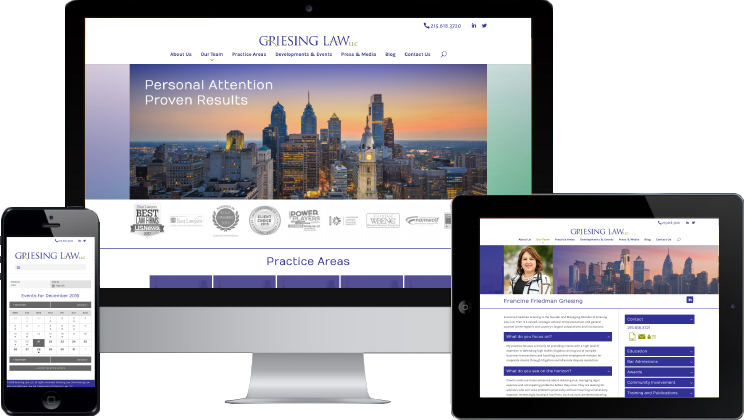 Providing website upgrades with technology changes over the years, Griesing Law currently has a mobile-friendly site featuring social media, events and calendar listings. 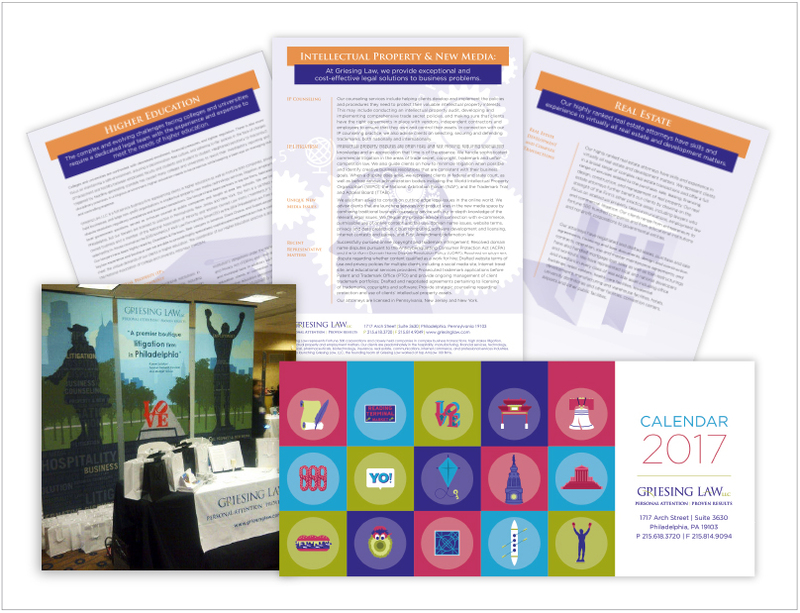 Power Design’s partnership with the firm has also produced annual promotional calendars, industry advertising, various marketing collateral and a unique tradeshow booth. Lisa and her team have been with us since day one and over the last seven years they have become a trusted partner. From helping us design our logo to working with us as we define our branding and image through our website, promotional materials and more, Power Design has been instrumental in helping portray our unique brand as a sophisticated full service law firm in Philadelphia. © 2016 Power Design, Inc. All rights reserved.